Starbucks tea ethical sourcing is on a journey to improve the overall sustainability and transparency of our tea supply chain, the livelihoods of tea workers, smallholder farmers and their communities, and the environment in which tea is produced. 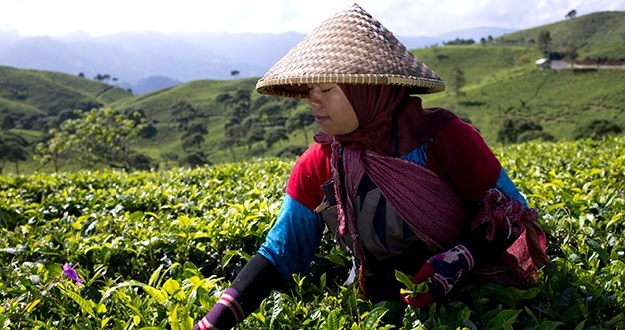 The journey to produce ethically sourced tea begins with tea farmers. Like most tea companies, we do not produce our own tea or own the factories that process teas into specialty black, oolong, white and green teas. We purchase or source tea from the farmers worldwide who have generations of technical expertise and equipment to produce top quality teas. At tea origin, we make purchasing decisions based on a vetting approach that includes economic accountability and transparency, social responsibility, environmental leadership and quality. For 10 years, we have partnered with the Ethical Tea Partnership (ETP) to ensure our tea products are produced with sustainable practices and under safe, transparent and humane working conditions. We are on track to meet our 2020 goal. As of 2018, nearly 72% of tea was ethically sourced. We are evolving and improving our ethical sourcing standard by working closely with local and international organizations including NGOs, government organizations and certifiers to ensure our approach is comprehensive to positively impact the natural environments of tea production and the next generation of tea farmers. For 13 years, we have supported Mercy Corps’ Community Health and Advancement Initiative (CHAI) Project to provide youth vocational training, health services and water access improvements to more than 100,000 people from 39 rural communities in the Darjeeling and Assam regions in India and in Guatemalan cardamom-growing villages. In 2018, we announced our goal to empower and advance economic opportunities for 250,000 women and their families in coffee and tea communities through The Starbucks Foundation. In 2019, to reach that goal in tea origin communities, The Starbucks Foundation is supporting programs around women’s economic leadership, healthy homes and WASH (clean water, sanitation and hygiene with Barefoot College International, UNICEF ETP, The Roger Federer Foundation and CARE International. These projects aim to break down barriers to education, promote clean water and sanitation (WASH), and create economic opportunities for women and girls. We also expanded our collaboration with the Ethical Tea Partnership to launch the first collaborative Tea Supplier Summit in China. The Ethical Tea Partnership Tea Supplier Summit represented the first tailored summit for producers, suppliers, brands and certifiers to discuss the sustainability commitments of the industry and the sustainability challenges faced by the Chinese supply chain. We consider the Tea Supplier Summit to be the first step in our commitment to pursue industry-wide sustained tea production and quality, health and prosperity for tea farmers and workers, along with conservation of tea growing regions. In a proactive effort to collaborate and strengthen collective action industry-wide, we are members of the Ethical Tea Partnership and the U.S. Tea Association. We believe together we can unlock the potential tea has to improve the lives of tea workers and their communities. The Ethical Tea Partnership strives to help tea producers manufacture tea in an environmentally and socially responsible way that includes improving the lives of tea workers.